So, you've added new wheels and larger tires. Or maybe even a new lift kit. And now your Jeep is wobbling and shaking worse than a baby trying to take its first steps. 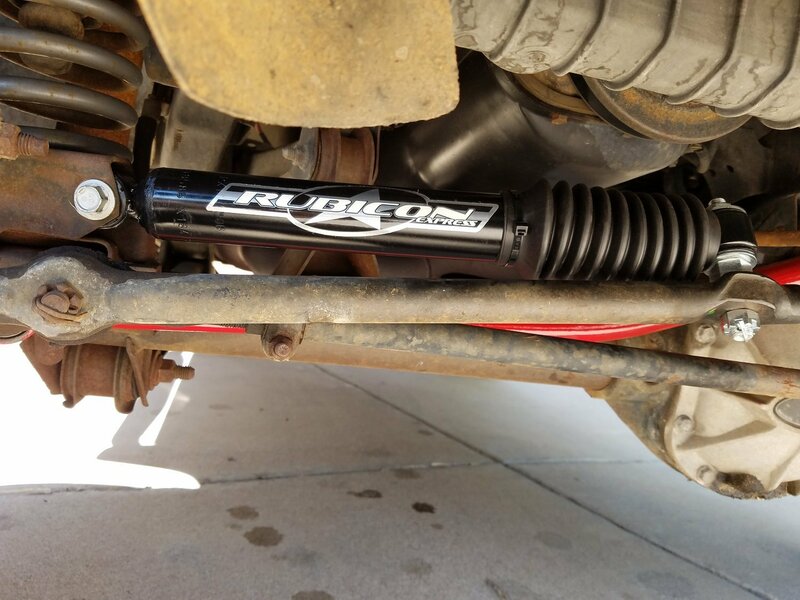 Relax, you can easily fix these issues with this Rubicon Express Steering Stabilizer. Think of it as a shock absorber for your steering system, which will help make every drive a smoother, more enjoyable experience. 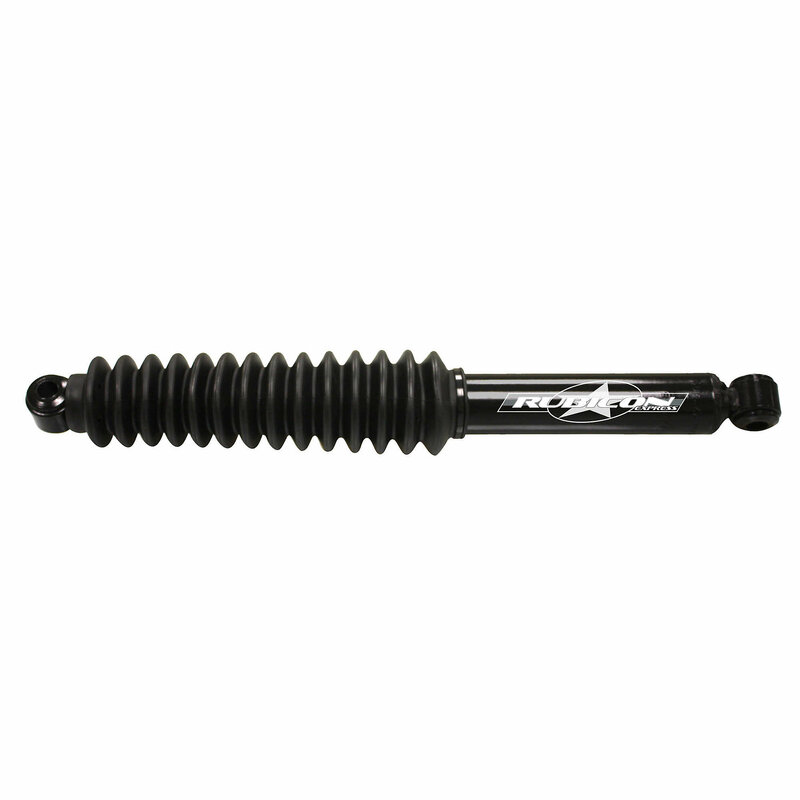 The Rubicon Express Replacement Stabilizer employs a burly oversized shock body, which allows more fluid capacity for precise steering performance versus the stock stabilizer, while its double welded rings add durability and help reduce wear and tear on steering components. It also features a 1.625" piston for maximum control and a 11/16" chrome shaft to help improve strength. This allows for unrestricted gradual movement, but stiffly resists sudden shock so your ride remains comfortable. 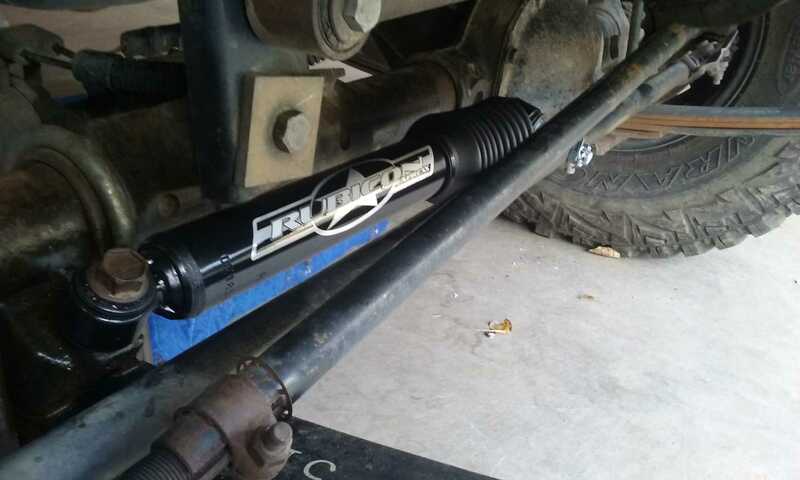 All Rubicon Steering Stabilizers come with a limited lifetime warranty. The part that attaches to the drag link stripped out freakishly easily. Bought a better one.